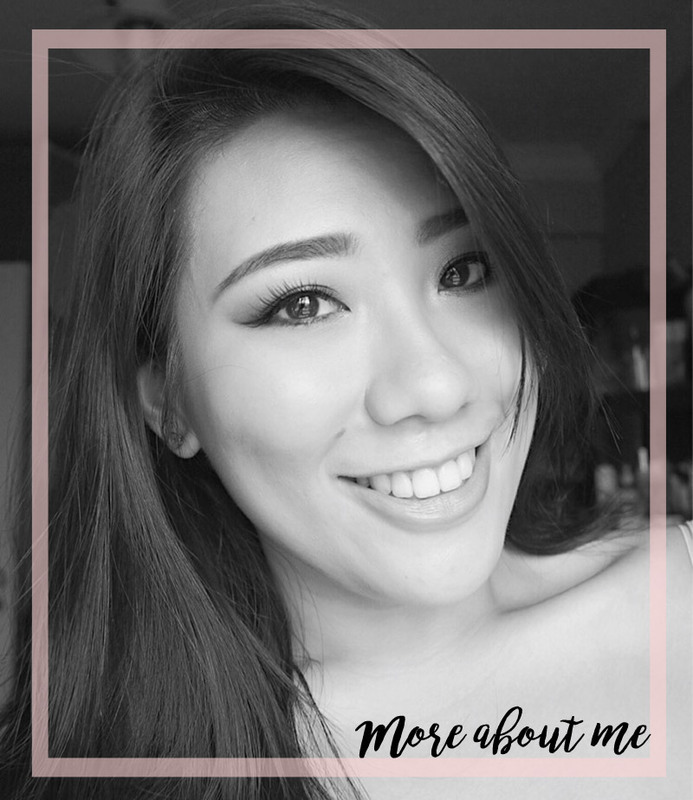 In my most recent overseas trip to Seoul, I discovered lip tints and how amazing these products really are. 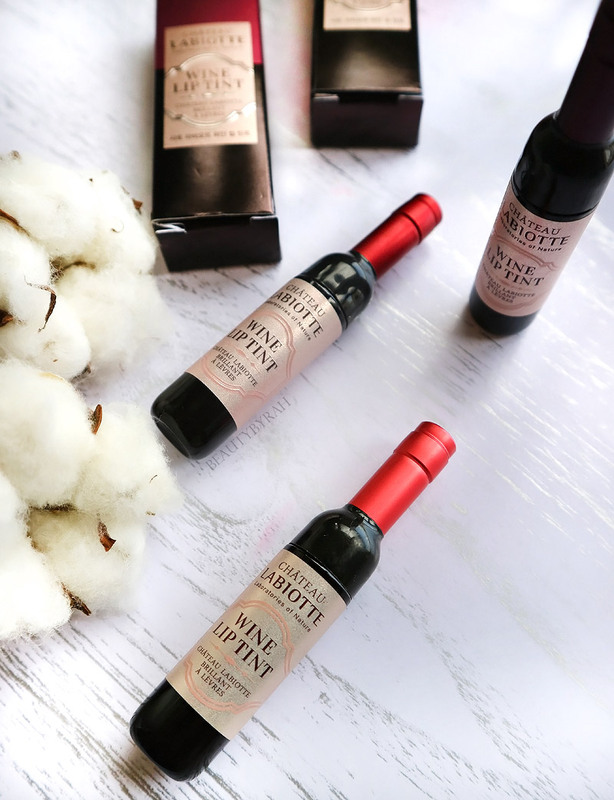 After trying out a few here and there in stores, I have to say that the Labiotte Wine Lip Tints impressed me the most! I've seen marketing advertorials for lip tints before, and somehow, they always gave a negative impressive on me as the models were always spotting ombre lips (and I am not a fan of that trend whatsoever). Lip tints also brings Benefit Cosmetics' Benetint to my mind, and boy did I have a bad experience with that when I was younger. That was the product that caused me to shove all lip tints and their hype aside. Seoul was pretty cold and my lips, being dry normally, were absolutely parched. I also ate a lot (read : a lot) and the constant urge to reapply my lipstick just turned me off. Thus, I was on the hunt for something that isn't drying yet long lasting at the same time. 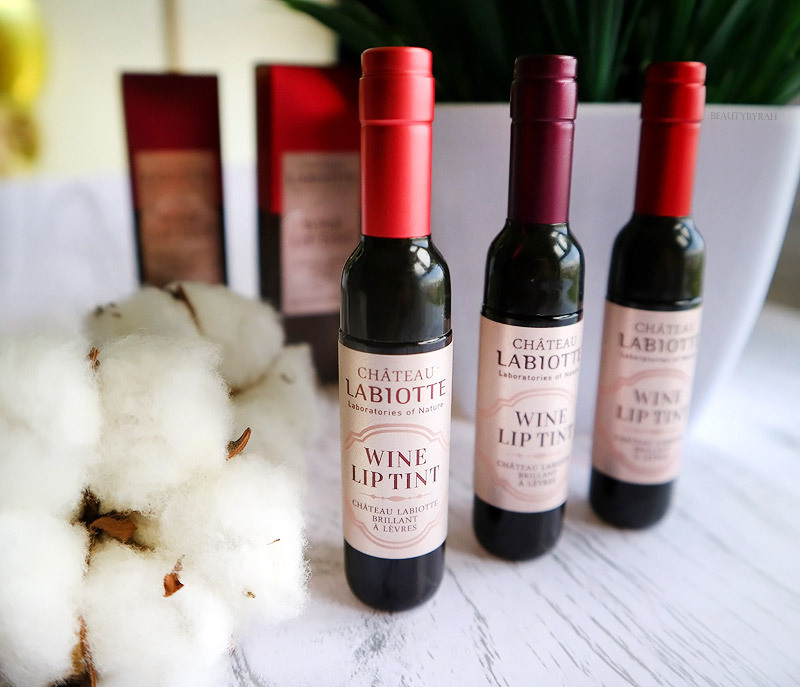 My travel buddy was talking about lip tints when we arrived and I tried one of her wine lip tints from Labiotte one day after she had purchased it. Cue: that was when my perceptions of lip tints completely changed. 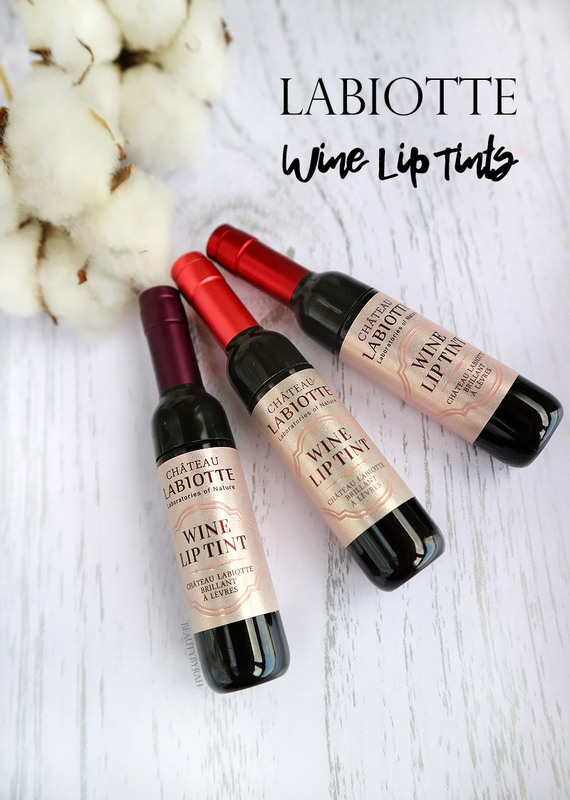 These lip tints are packaged in an adorable mini wine bottle, this lip tint is lovely to look at in addition to being easy to work with. The tint is of a creamier texture (as compared to those watery translucent ones like the Benetint) and glides on the lips really easily. I also like how it does not set immediately, giving me time to layer it and even it out. Once this lip tint sets on the lips, the creamy emollient texture disappears and I'm left without a tacky residue. It's as though I have nothing on my lips at all. If you're one who detests any residue on the lips, this may be a good option for you. This did not hydrate my lips, but it did not dry them out either which is good enough for me. My lips are incredibly irritating to work with as almost every liquid lipstick I've tried makes them uncomfortably dry and the results are just patchy and uneven. The only exception is the Palladio Matte Velvet Cream Colour which I have raved tons and tons of times before. 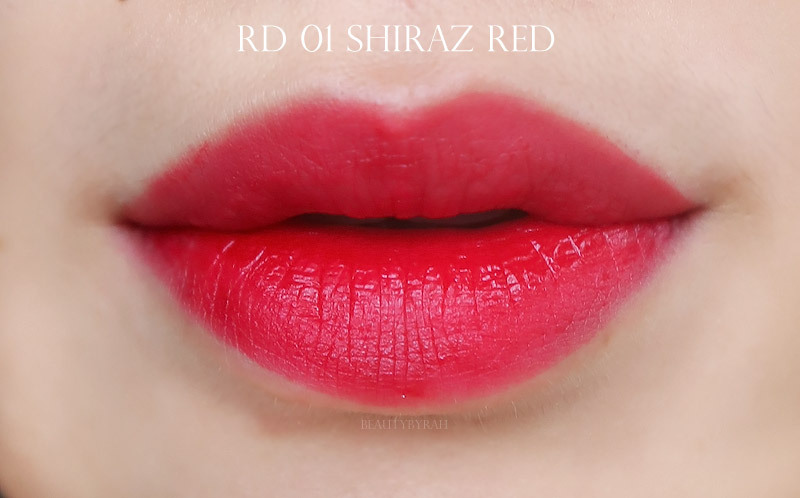 RD01 Shiraz Red - the most pigmented with 1 swipe, dries the fastest too. 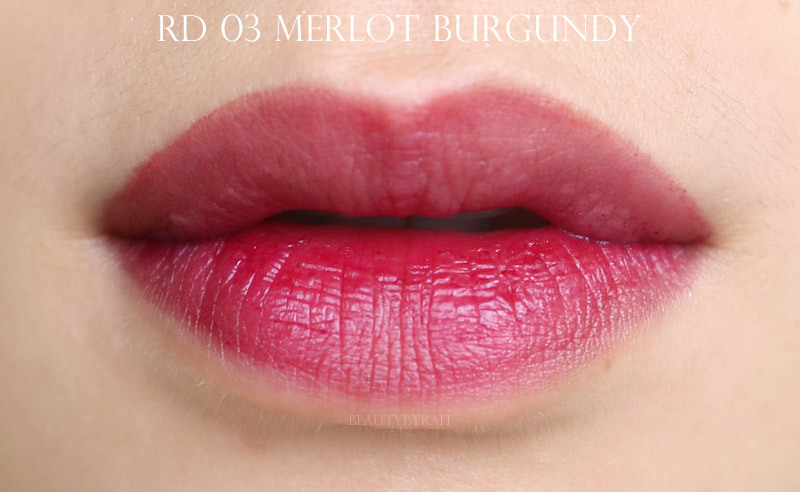 RD 03 Merlot Burgundy - buildable shade but pretty sheer, it takes about 4 layers for me to get the shade that is similar to that on the box. 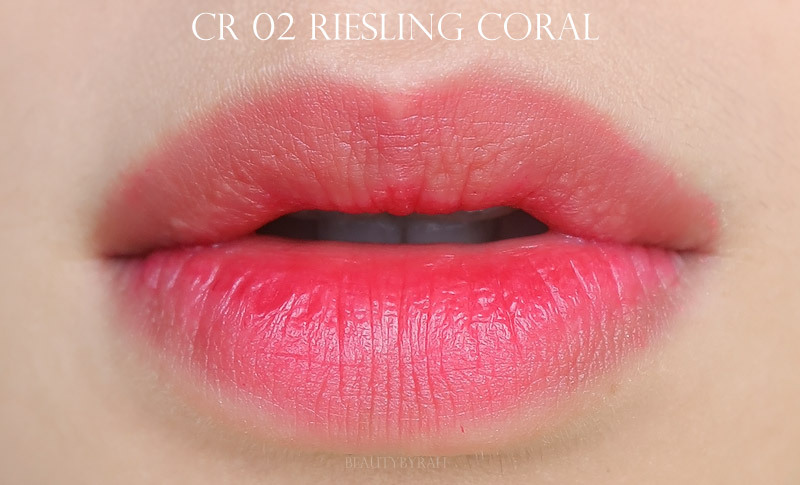 CR02 Riesling Coral - this was a new shade when I purchased it and by far my favourite as it adds a nice flush to the lips. This is buildable as well and extremely easy to work with. Do note, I realised that this applies patchy if you put it over another lip product. I like to prep my lips with lip balm before doing my makeup and if I do not wipe off the excess lip balm, this tint becomes patchy and difficult to blend. So wipe off any excess product on the lips and you should be good to go! I bought 1 when I was in Seoul (you can read about my Seoul KBeauty haul here) and the other 2 off Althea Korea where it retails for SGD 12.10 here. Super affordable and the quality is definitely darn worth it, so I highly recommend you checking them out if you're on the hunt for a product that provides long lasting wear! How do you feel about lip tints? What other lip tints do you recommend?